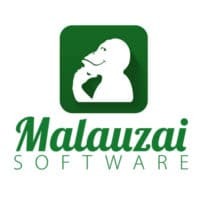 Usage of mobile banking technology provider Malauzai Software’s debit card on/off service, which allows customers of its financial institution clients to use their mobile phone to activate and deactivate their debit card on the go, has increased 850% in the last six months, the company reports. The service is part of the company’s Debit Card Management platform which also lets customers change ATM and POS transaction limits and adjust international access settings from their mobile device. Overall, the platform has seen usage increase 450% between November 2013 and April 2014, and 80 US community banks and credit unions now offer the debit card on/off feature. “The increase in card management use since the Target breach is staggering,” says Robb Gaynor, chief product officer for Malauzai. “Even though the breach happened in late 2013, we continue to see increased use of debit card on/off and other card management features each month as end users take control of their own data security right from their smartphone. “Credit unions and banks deploying card management are not only helping consumers fight fraud, but are adding huge cost savings by turning card management into a self-service application within mobile banking,” Gaynor added.